Endoscopic lifting allows to eliminate the pronounced signs of aging of the face and décolleté area without major surgical interventions. Lifting is performed without large incisions using an endoscopic technique. Plasty eliminates pronounced wrinkles on the forehead, drooping corners of the eyebrows, asymmetry of the eyebrows and nasolabial folds. One variation of this technique is the endoscopic lifting of the midface area. It can be used to eliminate the nasolabial folds, drooping corners of the mouth and other expressed defects of this area. A feature of this procedure is that improvements of the other areas are also observed during exposure to the midface area. For example, improving the outline of the chin and neck may be present. According to the feedback from patients, this technique allows to perform significant improvement of your appearance via a minimal influence. Our clinic offers modern methods, professional equipment and reasonable prices. To learn more about the cost, you can call us by phone or come directly to our clinic. omission of the eyes and lips corners. Although endoscopic lifting and it is not a serious surgical intervention, some consequences may be observed after such procedure. Bruising and bleeding occur in areas of tissue exposure and disappear within a few days. Numbness occurs with displacement of vessels, it is also a temporary event, which passes without intervention. Nerve damage that causes numbness and immobilization of certain parts of the face is treated using physical therapy. The operation is performed using two methods: the check-lifting and temporal lifting. During the check-lifting, an incision on the lower eyelid at the lash line is made. The endoscope and tools are being introduced through this incision. The transfer of Bichat lumps and correction of the cheeks is made. Temporal lifting involves making a cut in the temporal region, and sometimes in the field under the upper lip. Plasty is performed under general anesthesia, during it peeling of the tissue is made, changing of muscle tissues position and fixing them in the new location. Throughout the rehabilitation period the patient must wear an elastic bandage. It is also necessary to refrain from excessive physical exertion, solarium, sauna and swimming pool. The use of alcohol and blood thinner drugs should be eliminated. In general, the recovery process takes about 10-14 weeks. You can fully assess the effect of the operation only after 6-7 months after it. During this time the swelling subsides and the tissues will be assimilated at the new location. As a result, you will notice an increase in skin tone, correction of deep wrinkles and elimination of pouches under the eyes. A person gets a young, rested appearance. Since incisions are made at discreet areas and the sutures are made of bioresorbable material the scars will be completely invisible. Our clinic has extensive experience in conducting endoscopic lifting. We employ only professional surgeons who have all the necessary licenses. Operations are conducted on the basis of advanced equipment using high-quality drugs. You can take a look on the photos before and after the procedure, as well as read the feedback from our patients to obtain information on the results of our work. The cost of the correction depends on the individual patient and the degree of complexity of the problem. 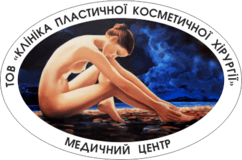 In order to find out how much the procedure costs and what affects its price as well as to get additional information, you should contact us by phone or directly in the Poltava clinic.